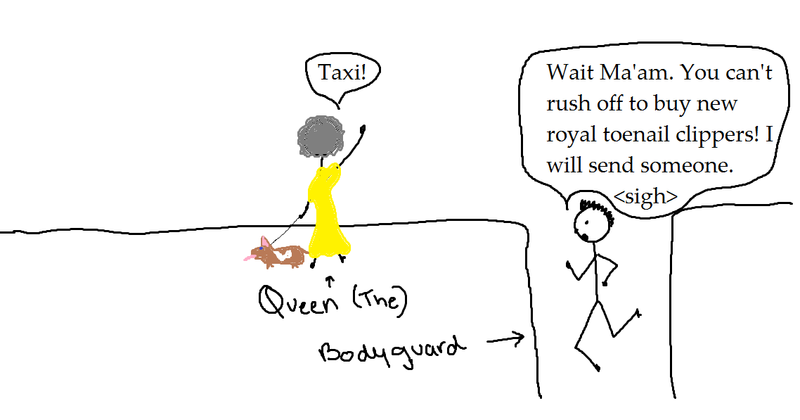 It seems the Queen was risking her safety (and that of her corgi) because she lost her toenail clippers. Hopefully her long suffering bodyguard saved the day. Posted in Uncategorized and tagged bodyguard, corgi, dream, queen, toenail clippers, toenails. Bookmark the permalink.